Have you heard of the Book Club App by Book Movement? My book club started using it and it has been so super helpful and fun to use! Book Club is a free app available for Apple devices (doesn't look like it's available for Android). There are links within the app to purchase books via Apple iBooks or Amazon, but you can use the app for free. I learned about it on Book Riot and their post lists several other apps that might be great for using with book clubs. We decided to try Book Club and it's really worked for us. Schedule your meetings, RSVP, and remind everyone all in the app. No longer are we all emailing each other a few days before asking who's hosting book club or trying desperately to remember to send a reminder email out. When we schedule our next meeting, I put it in the app and everyone has access to the information (date, time, who's hosting) right on their phones. Bonus: Book Movement sends automatic reminders to everyone, so we no longer have to think about that. Discover books and keep track of potential books your book club might like to read. This was always a struggle for us: choosing our next book. We'd have lists and lists of suggestions one month and then the next month we couldn't remember what was on our lists. The app allows you to save possible future books AND to vote anonymously, making it easy to give everyone a vote without putting anyone on the spot. 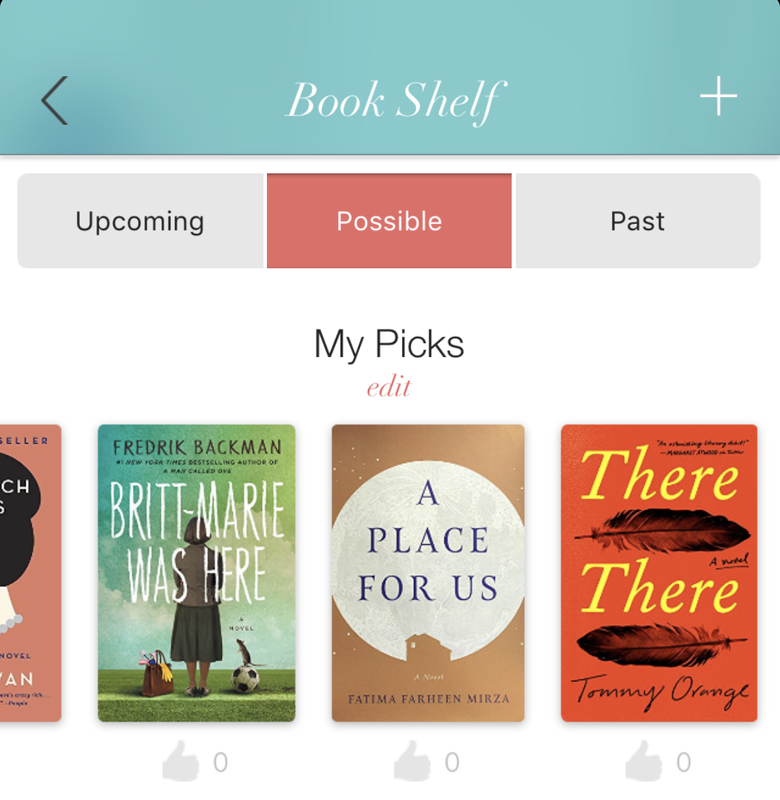 The app automatically keeps track of your past books and meeting dates. I input the older information from before we started using the app, but now as each date passes the books get recorded in our Past Books section. I get a lot of satisfaction of keeping track of what we've read and I love that this keeps the meeting dates, too. No need for a "book club historian" if you have this app. We've been using this with my personal book club, but I think it has potential for library book clubs, too, particularly if you have a group of regulars that come very frequently. It could be useful even just as a tool for letting everyone know about upcoming meetings and upcoming books. Once you create a book club, you can email members or share a code with them so that they can connect to your particular book club. Do you use anything to keep your book club organized? What works for you?